All SEO is not created equal. Search engine optimization, or SEO, involves editing web content so that websites rank higher on search engine results pages. The higher your site is ranked, the more people will visit it. The ultimate goal of SEO is to gain higher volume and quality traffic to your website. Back in the day, SEO-ers could use a variety of easy, deceptive techniques to rank highly on search engine results pages without consequence. However, as more and more companies started to do this, search engines noticed that their results pages were becoming more and more skewed. Search engines care about the relevancy of their results because it keeps people coming back. Therefore, they began to incorporate algorithms, or equations used to rate webpages, to rank sites based on a certain set of criteria regarding content, links and domain information. As the algorithms changed, different SEO-ers responded in different ways. While some conformed to the guidelines, others found ways to get around them. 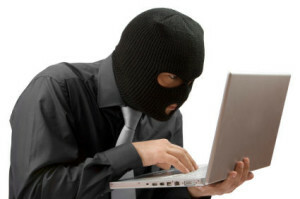 This led to black hat and white hat SEO. 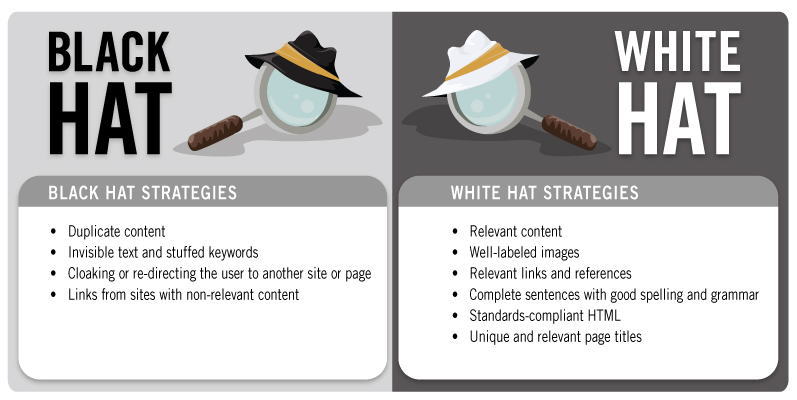 The difference between black hat and white hat SEO relates to the specific techniques used to improve your website’s search engine ranking. Black hat SEO refers to attempts to improve rankings in ways that are not approved by search engines and that use deception. Black hat SEO goes against current search engine guidelines. If you are caught using black hat techniques, your site can be penalized through lower rankings or even banned from the results page altogether. White hat SEO, on the other hand, refers to the use of good practice methods to achieve high rankings. They are transparent and comply with search engine guidelines. White hat SEO takes more time and energy than black hat SEO. However, since white hat SEO is backed by research and analysis, it’s a more effective strategy for increasing ranking. Also, while black hat techniques might get people to go to a page, they don’t guarantee that people will stay. Since white hat SEO is accepted by search engines, you know that the results that you achieve will be more long lasting. The reality of SEO is that backdoor tricks just aren’t good enough for getting a good rank on search engines anymore. You’re going to have to put in the work to make your website one that people want to visit. If you do so ethically, you can ensure that the time and effort you spent on improving your site will be rewarded by long-lasting results. Otherwise, you risk penalty or even being banned from search engines altogether.